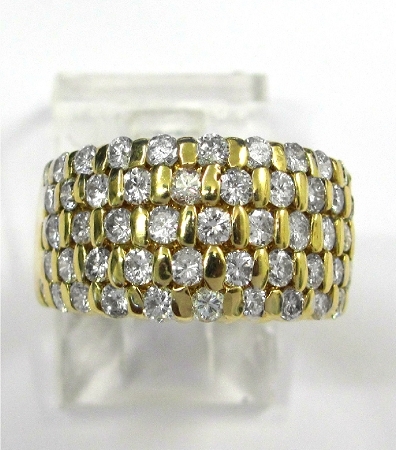 Ladies 14kt yellow gold diamond estate ring. 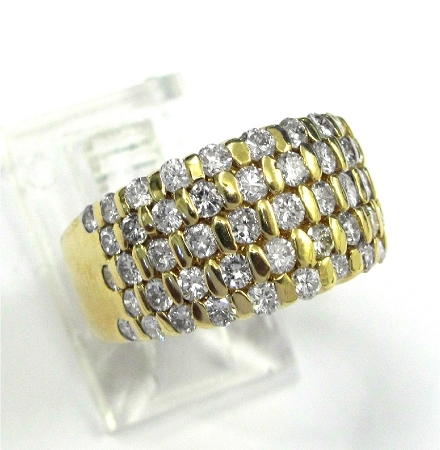 Ring contains 53 brilliant round cut diamonds weighing approximately 1.50ct total weight. Ring comes with an insurance appraisal. Please specify ring size when ordering.